We work closely with this International School in the capital of Angola, Africa, providing a comprehensive range of live Skype music lessons online for their students. 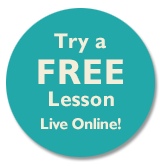 Music teacher, Betsy Stalter at the school, helps to co-ordinate our live online instrumental lessons and also takes violin and singing lessons herself, with our teachers. Con Brio is an online music exam board. Students choose three pieces from an extensive list and submit a video at any time of year. No scales, aural, sight reading etc are required. Exams are graded from Pass to High Distinction. After the exam, students get a full examiner’s report with feedback and constructive criticism, along with a certificate if the pass mark is achieved. The traditional exam boards such as ABRSM and Trinity have exam centres all over the world, but we have some students in more remote locations who have to travel a very long way to take the exams with them. Also, many students do not want the formality of the traditional exam boards, so this is a good option for students who want to reach goals, without the pressure and with more flexibility, from anywhere in the world. Con Brio currently offer exams in piano, strings, flute, saxophone and singing, but the exam board assures me it will include all instruments, including more cultural instruments in the future. If you wish to take traditional exams, you can still use ABRSM and Trinity but Con Brio is now available as an alternative. Speak to your teacher or Tracy if you’re interested in Con Brio exams. ABRSM is the principle exam board for Music Lessons Anywhere. Many of our students take these exams all over the world, gaining excellent results. The ABRSM is the UK’s largest music education body. It is one of its largest music publishers and the world’s leading provider of music exams, thereby offering assessments to more than 630,000 candidates in 93 countries every year. A fantastic resource for music students. Their mission is to bridge divides, connect communities, and heal the wounds of war using the power of music. Daniel Louzonis has two children John and Chrissy who takes online piano, online guitar and online singing lessons with us. Daniel teaches accelerated math and advises parents on how to educate their children. Eric is an online piano student of Music Lessons Anywhere. His love of music is such that he even has his own website. John Louzonis who takes online piano lessons with us at Music Lessons Anywhere, publishes podcasts on a variety of subjects under the name Johncast. John also has his own website. 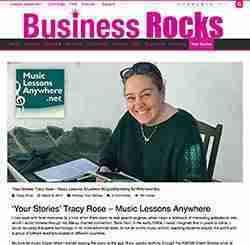 Christine Louzonis takes online piano, online guitar and online singing lessons with us at Music Lessons Anywhere. A great selection of music games you can play online. An app to help you with the Aural section of your exam. An app to help improve your sight reading. Everything piano is covered here!